As couples start out with a new set of tableware, they have a chance to make a unique choice, as they want their lives to be. Who says you can’t use your best dishes every day? Our dishes embody an art aesthetic that sets the table for special occasions. Yet they have that solid down-to-earth feel that makes them suitable for everyday use. 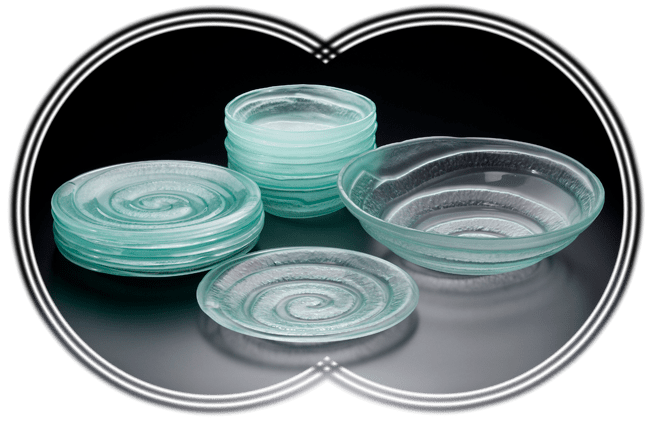 Lauren Becker consults couples to select a balanced and interesting combination of plates, serving platters and bowls. The couple can register their selection over the phone. If local, we recommend a personal consultation in our studio. After the couple has registered their choices, the selection will be presented on a dedicated web page. Of course, we will then handle the orders by the wedding guests, as you would expect from a registry service. We will have the gifts delivered to an address of your choice. Typically, the couple provides the special link for their registry page to their family and guests. If you don’t happen to have it available, you can send us a message with at least one of names of the happy couple, and we’ll send you the link within a day. Got plate glass to recycle?